This is the most best way to make a mode . 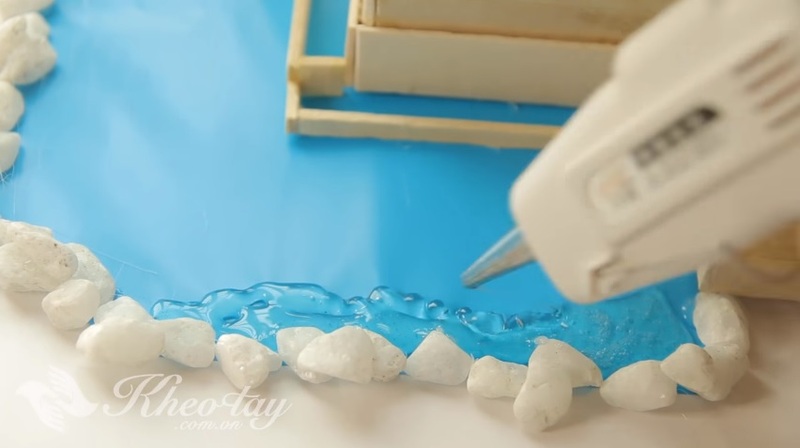 Because when you have modeled the popsicle stick house or wooden house, you will definitely need a glue gun and a glue. Just take benefit of them as you can make your own pool for the model. The benefit of this model is you do not spend more cash to purchase other materials, wonderfully finished products, long stay and can be moved away without danger of being destroyed. 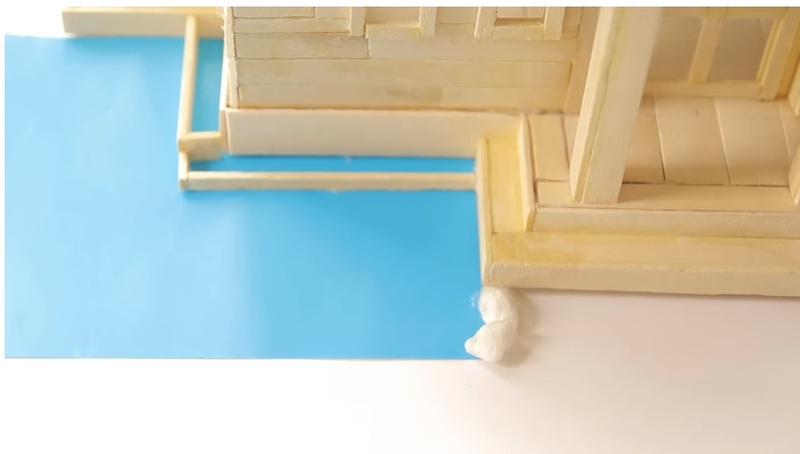 Step 1: Cut the blue cardboard paper and then lining down the place you pick to bottom the pool ( no need to stick). This blue cover is the type of paper used during class time in the classroom. Also, keep in mind, you do not necessarily make the pool blue, if you love swimming pool with yellow or red color, then you just replace the color of cover is. It is vital that you love and want more creativity to differentiate. Step 2: Apply gravel around the paper cover to make a swimming pool. Do not reject to use a glue to fix the gravel to the cover. Step 4: Use the glue stick and the glue gun, and use the glue onto the cover sheet. You notice as much as easy. When the candle is in liquid form, it will run over the paper area, after it freezes and looks extremely similar to the water surface. 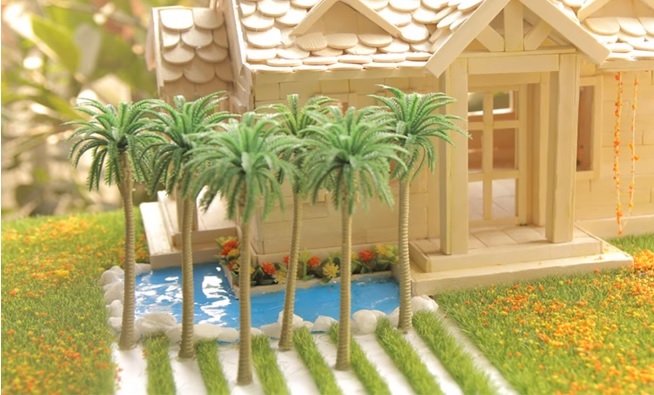 In the video I made, I have beautify more grass pattern and coconut trees models to complete the yard, you can make more charming beauty. So we have a swimming pool for model. This is an extremely simple way, just five steps are not picky, just finished watching is done right. 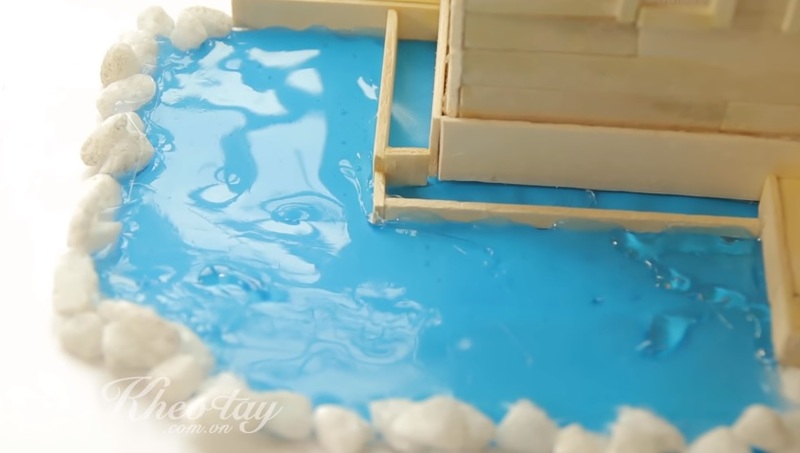 Hopefully after this page, you will make yourself a creative and perfect pool model. Video tutorial to detail themselves to the base of the page, you can view to know more (from 7:07). Good Luck! 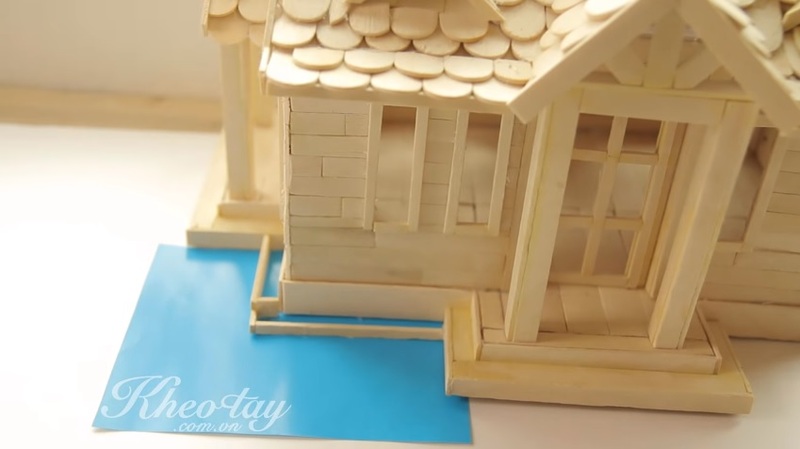 This entry was posted in Popsicle Stick House. Bookmark the permalink.